Spring has rapidly moved into Summer in Nevada County. The South Yuba River flows are still strong, wildflowers abundant, and people are turning to our lakes and rivers to recreate and enjoy our special area. Coming soon, Nevada City and Grass Valley each host their annual summer outdoor festivals of art and music. This year’s Summer Nights celebration in Nevada City will be held three Wednesday evenings: July 13, 20, and 27. In Grass Valley, Thursday Night Market starts this Thursday June 23 and goes through July 28. The festivals are a big draw for all ages and the streets fill with local friends as well as others from Sacramento and the Bay Area. We go knowing we will run into someone we have not seen in ages. 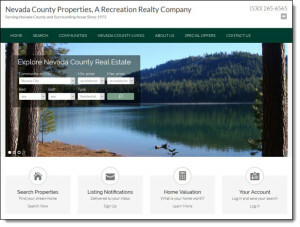 Nevada County Properties/Recreation Realty invites you to visit our new site at NevadaCountyProperties.net. Our new site is designed to prominently present properties on the market by neighborhood and/or city. We also make it easy for you to create your on account so you can specify and track a particular segment of interest in our local market. 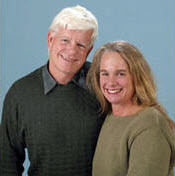 You will find lots of information about living in Western Nevada County as well as who we are. And yes, you will still find Our more personal side … including reflections of John as a Child Actor. We include these because creating relationship is an important aspect of our commitment to serving you. Ready to contact us? Call John at 530 265-6565, look up our list of Realtors and Brokers or simply drop by one of our offices on Harmony Ridge or downtown Nevada City. Our local real estate market is strong. According to RealtyTrac.com, in May, the number of properties that received a foreclosure filing in Nevada County was 8% lower than the previous month and 56% lower than the same time last year. Home sales for April 2016 were up 3% compared with March, and up 106% compared with a year ago. Mortgage rates continue to be very attractive. In fact, this month mortgage rates have been the lowest in years as 30 year fixed rates hover around 3.5%. Priced right properties in Nevada County sell quickly and are a great investment. Are you or a friend coming to Nevada City for a relaxing sojourn? We have an upstairs unit in single family home< nestled on almost 5 acres of conifer forest with two private ponds. Two bedrooms with regular queen size bed and queen size comfy futon. Kitchen with eating area. Bathroom with shower/bath tub. Space has its own entrance and is private from main house. Learn more at Scotts Flat, Nevada City Air B&B or call John or Sandra. We also have our beautiful Baja Casita available for a fun and relaxing sojourn on the Sea of Cortez in Baja Sur, Mexico. Check it out or call us if you are interested!.